AMC Theaters is the now the biggest movie theater chain in the world. The U.S. theater chain announced on Thursday that it acquired theater chain Carmike Cinemas (CKEC) in an acquisition that is worth $1.1 billion. The deal will make AMC Theaters the biggest theater chain in the world. Carmike, which has 2,954 screens, will combine with AMC (AMC) to give the theater chain more than 600 theater locations in 45 states in the U.S.
AMC, which is controlled by China's Dalian Wanda Group, currently has 387 locations and 5,426 screens in the U.S.
Dalian Wanda is owned by Wang Jianlin, China's richest man. AMC will overtake Regal Cinemas, which is currently the largest U.S. movie theater chain with 7,369 screens in 572 theaters in 42 states. "This is a compelling transaction that brings together two great companies with complementary strengths to create substantial value for our guests and shareholders," AMC CEO Adam Aron said in a statement. "AMC also gets to extend the reach of our innovative, guest-experience strategies to further transform the movie-going experience for millions of new guests." 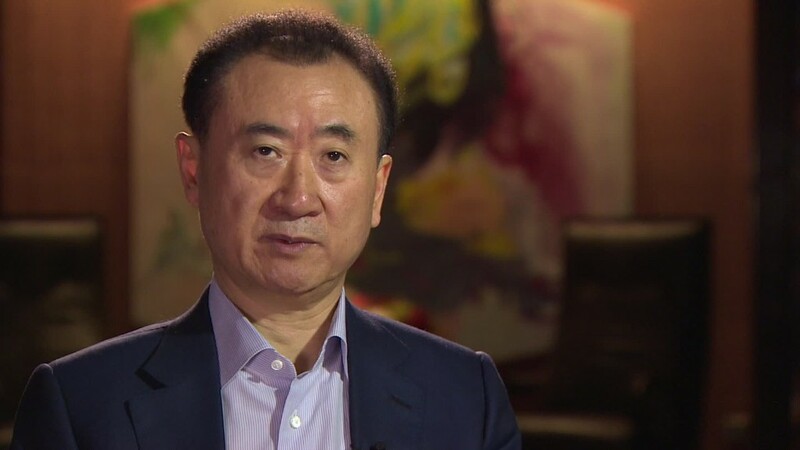 This is another big acquisition for the Dalian Wanda Group, which announced last month that it acquired Legendary Entertainment. Legendary has been behind many big blockbusters such as "Jurassic World" and "Interstellar." The AMC and Carmike deal follows the biggest year at the U.S. box office in history.